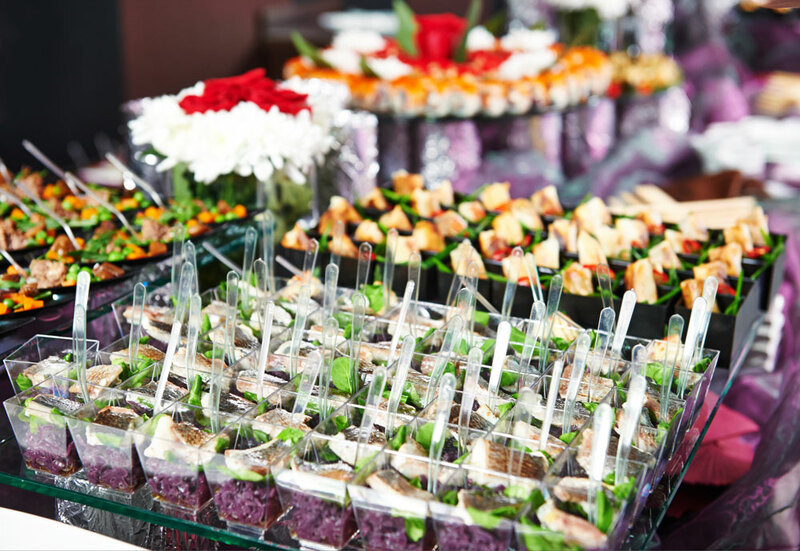 Event catering in Washington D.C. can be potentially overwhelming when faced with so many options to choose from. Party and event planning is a serious undertaking that requires attention to so many details and sometimes includes unforeseen details. For starter’s the choice has to be made of how much one wants to be involved in the catering process. While it’s perfectly reasonable to take the details on oneself when planning an event, there’s also the availability of professional Washington D.C. catering services. 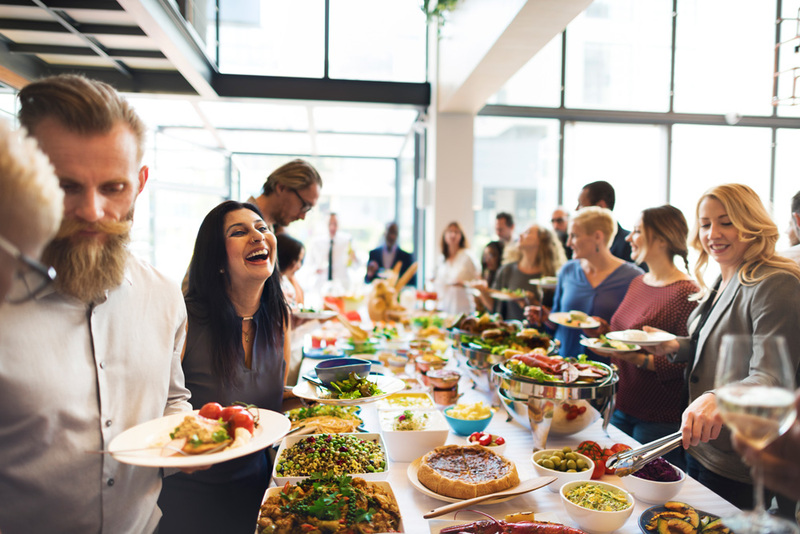 While the idea of hosting a party or corporate event and preparing and serving food on one’s own may seem economical, that’s not always the case. The often unforeseen details add up in cost, time, and labor very quickly. DIY Catering in Washington D.C. If you’re planning a party or gathering for 10 guests, then a do it yourself approach is definitely going to be cost-efficient and manageable. 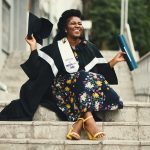 But increase that number to 25, 50 or even 100 guests that are going to be in attendance and logistics become a group effort and juggling act by the host or party planner. On first thought, most people think about the food and the food alone when it comes to planning for an event where guests are to be fed. But that logic is flawed, as there’s much more that goes into a food service than just the food. Take silverware, plating, tables needed, table linens, chairs/seating, and the idea of serving a simple meal becomes complex quite quickly. It’s safe to assume that most households around the world, don’t have 100, 50, or even 20 place settings on-hand for such a production as catering an event. Most DIY catered event planning includes rentals of all the items needed to pull it off. Professional Catering in Washington D.C. 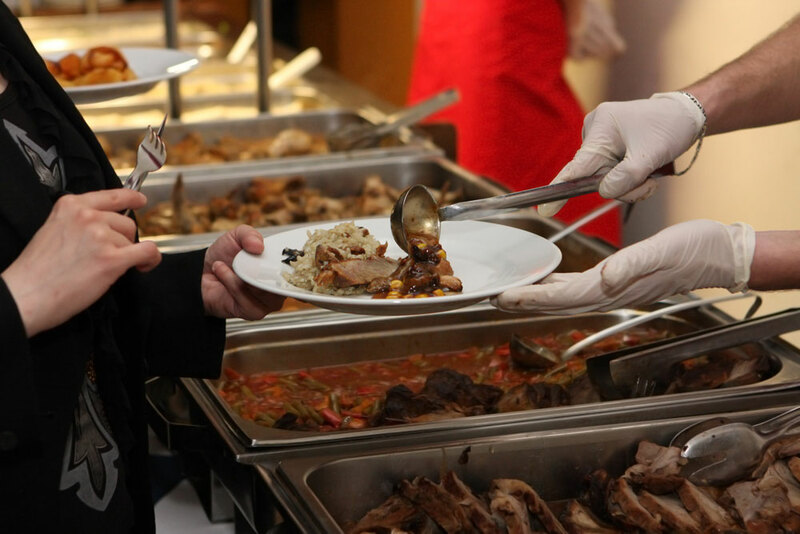 Catering in Washington D.C. is very easy to successfully accomplish in that there really are handfuls and handfuls of reputable and cost friendly caterers at one’s disposal. D.C. area catering companies are experienced in all manner of events that are catered and have the foresight to offer tips or knowledge-based information to an event planner that may have been overlooked. 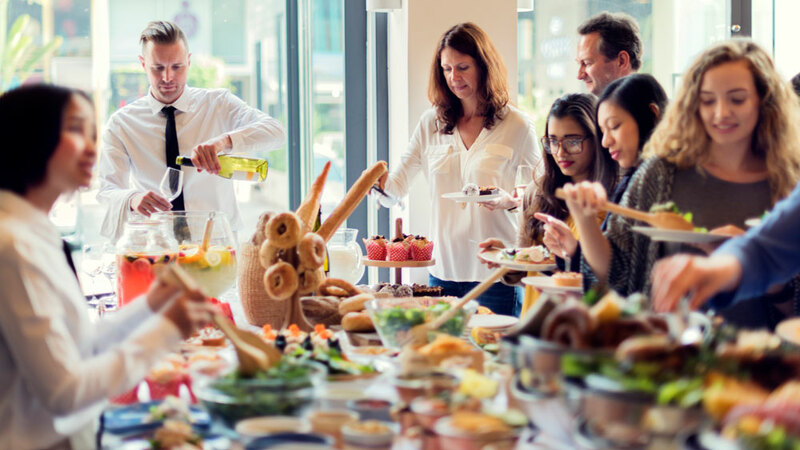 If you were to plan and host a catered event on your own, it’s still an invaluable idea to at least consult a professional caterer (or two) to give you some insight into some avenues you may have overlooked or left unexplored. Quotes on prices, estimates on how much food and the possible need for staff assistance are not trade-secrets and professional catering companies are happy to share their experience. It’s that experience that affords caterers a sense of pride in what challenges they’ve overcome and the acquired knowledge they’ve gained in successfully navigating the industry. That said, if you really are the ‘go-getter’ type and have the drive and resources available to pull off the catering of an event, do it! 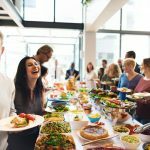 To successfully pull off the catering of an event is amazingly rewarding beyond compensation, but in personnel and team accomplishment as well. Another note worth mentioning is that some (if not most) catering outfits are flexible in the level of involvement a party host or planner has in the catering effort. So if your personal skills or resources aren’t up to par, you can be involved in the areas of your abilities and lean on the caterers in areas where your skills or resources are lacking. Now, I should also address here that a service staff of a caterer may be directly responsible for a lead or head server or some form of a recognizable manager. The staff is not in your employment when you hire a catering service, the staff is beholden to the catering business as an entity. 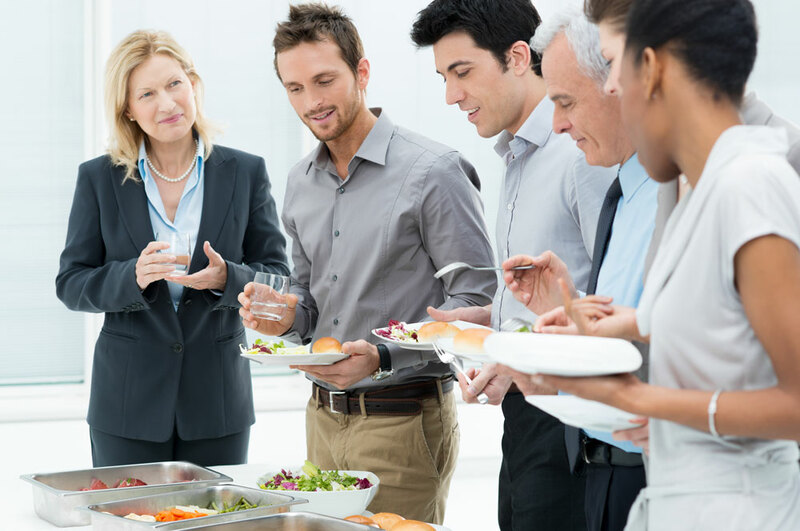 Though the staff will be receptive to input, all concerns about the service or details involved should be addressed to the person in charge at the event being catered. This ensures proper communication throughout the service staff’s chain of command and more importantly, this ensures the event is being catered to your immediate needs as well as a predetermined plan. If we come at DIY catering vs. professional catering from a pro’s and con’s approach, the basics or essentials would resemble the lists that follow. Here, we’ll approach pro’s and con’s from the perspective of hosting or catering one’s own event. The pro’s of DIY catering are: Complete control of all details pertaining to the event (sourcing materials, sourcing food items, sourcing event staff, briefing or training of event staff, event pre-preparation, event setup, cooking, transportation of prepared food, more event setup, execution of catering at the event, event clean-up, and post-production/rental returns), complete control of menu planning/details, complete responsibility (for all details involved, including rental items), and complete control over the post event details. The con’s of DIY catering are: Labor and time involved in (planning, sourcing, managing all the details) a catering an event, rental details (sourcing, procuring, transportation, billing details, inventory management, etc), managing service staff (you have to source and train), managing food-prep and cooking staff, arranging transportation of food items, managing the execution of the catering at the event (overseeing personnel, food quantity and quality, mitigating unforeseen issues as they arise, and finally, managing all details of post-event activities involved after the catering has been concluded. Another key thought that should be considered. Are you planning on enjoying the event and participating as a guest as well as trying to “run the show”? 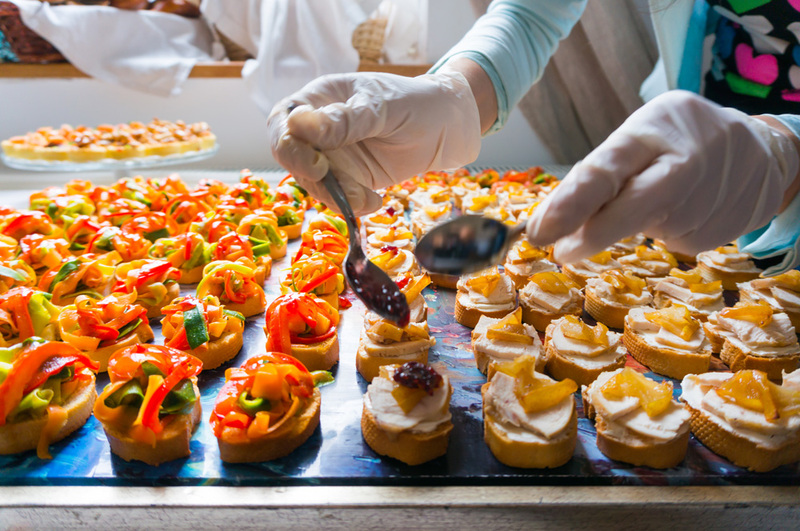 Because, unless you are highly experienced and prepared for the endeavor of catering an event, you’re not going to be able to manage the catering and be an attendee at the same time. This is not a realistic line of thought and most people who’ve been in these shoes have had a stressful time and didn’t “enjoy” the event they were planning on celebrating. Consider A Professional Caterer In Washington D.C. This isn’t meant to be a deterrent to anyone inquiring about catering on their own, but more as a realistic and thought-provoking piece to prepare one for this endeavor. DIY catering can be done and is attempted (and even pulled off) all the time. But the most professional and successful DIY catered events were (are) pulled off with an entire ‘behind the scenes’ back story. Those ‘back stories’ are chock-full of troubles, heartaches, triumphs, overcoming adversity, sweat, tears, and in dire cases, even blood. Go this route how you choose, but always know help is literally a phone call or web inquiry away. Happy hosting, and good luck with your endeavors!